From Jesus Resurrection Decree:I AM I AM I AM the Christ, the Christ the Christ the Christ I AM, Ascending NOW into the Light the soul is free from it’s dark night! 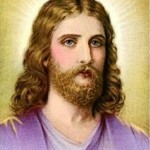 Jesus Christ is the Ascended Master who demonstrated to all of us the path of personal Christhood. Jesus asked us to pick up our own cross and follow him! Jesus tells us that the Kingdom of Heaven is within us and the Truth will set us Free! Most Beloved Jesus is very Present right here, right Now! While he demonstrated the path to Christhood in the physical 2000 years ago, by letting his ego, his separate sense of identity, die on the cross of the things of this world, he was fully reborn as the Living Christ. Therefore Jesus never left us, nor did he create outer churches or organizations to worship him. 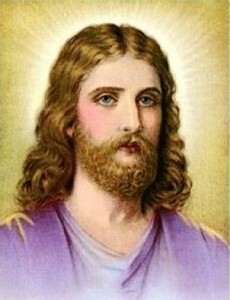 Jesus created the inner church, the inner temple within us, and within our world that we enter when we, too, walk and talk as Jesus demonstrated – by letting the Father Mother within be the doer, by following our inner guidance and surrendering to our Divine plan regardless of where it takes us on the outer. Jesus is a Loving Christ and Buddhic Being that is very grateful for our own personal victories and for helping him by Being the fulfillment of his Mission. While Jesus fulfilled his Mission and gained his Ascension – now it is YOUR turn! : ) Jesus invites us all to connect with Him, right here, right Now and to use the growing list of tools on this site and elsewhere to gain a personal connection with Him. He is here to help us achieve our own personal God Freedom and Ascension in the Light. What better Master for many of us to work with than the Prince of Peace who demonstrated beautifully what it means to Be Peace in a world that was caught in it’s own ego based illusions. 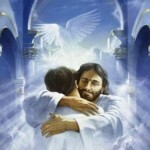 Jesus will be working very closely with this Movement of consciousness, and the Ascension of every soul on this planet. If you are one of his sheep, then you will Hear his Voice! Be assured, Jesus is calling his sheep home, the good Shepherd comes again within you. Look not for Jesus on the outer, look for the Christ within, and there I AM found. “Therefore, let the exposure come to pass! And let it be known that this image of myself which I have released through the artist Charles Sindelar is indeed the very same image that you will find on the Shroud of Turin, and it is unmistakable. And therefore, you will know that I have appeared to many saints throughout the ages. And I have spoken through many messengers who have appeared to deliver, by the miracle of the Holy Spirit, the healing light, the gift of wisdom, and the teaching of the way. And I have sealed unto this witness the understanding of each one’s own God-reality, and none shall tear it from my own! For those who are called of the Father will know me as I AM and will not have the power to distort me or my name or my image or my presence. For I AM yet the Good Shepherd and I stand with every disciple on earth who is true to the calling of the Son of God! And those who are yet weak I strengthen when they pray and when they acknowledge that Universal Christ, not alone in me but as the divine image out of which they also were made.”. 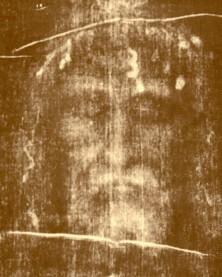 *In Sept 1929 Charles Sindelar painted a portrait of Jesus Christ as he appears today. He had personal visits from Jesus at 2 am for 22 consecutive nights at 6200 Fountain Ave in Los Angeles, California. This dictation was delivered to the Messenger Elizabeth Claire Prophet on April 11, 1982, during the Easter Conclave at Camelot. JESUS’ DECREE FOR CLEARING EACH RAY FOR ASCENSION NOW! In this message, Jesus asked us to meditate to this song after giving his resurrection decree and then mediate on the mantra “Jesus Christ, show me Truth until I become the Living Proof”. He asked us to envison ourselves as seeds, and the light is cracking open the seeds from within. We begin sprouting and growing and reaching a new and indeed the Spring is here ! The Christ’s Way Letters – available for free online, contains profound teachings from Christ.